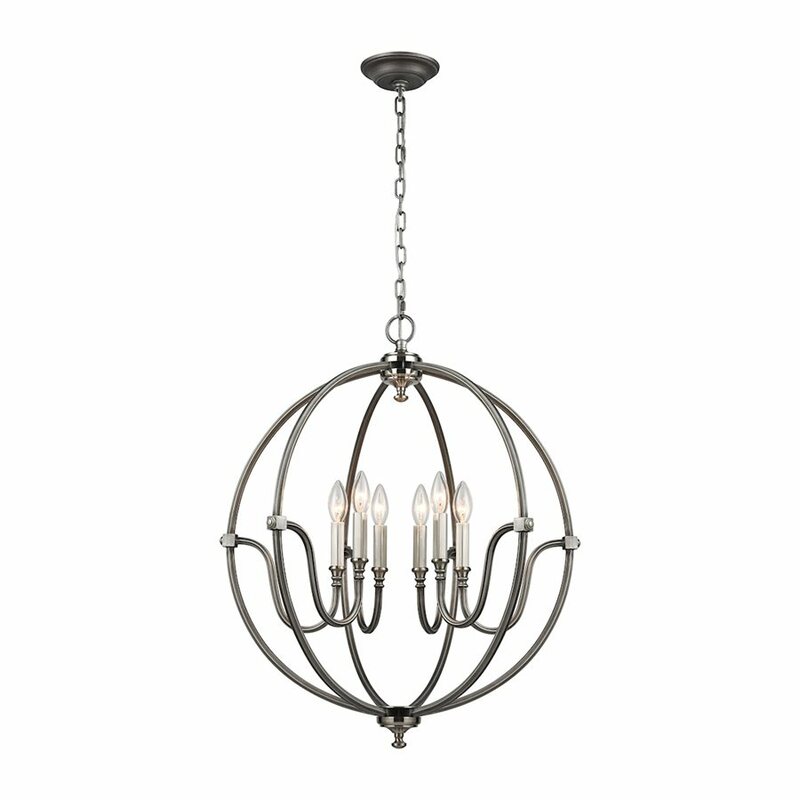 This open and airy light fixture is a reinterpretation of the classic globe chandelier. The metalwork is finished in a two-tone weathered zinc with nickel accents or matte gold. The Eleanor is a modern classic for your home. Features 60W bulbs. 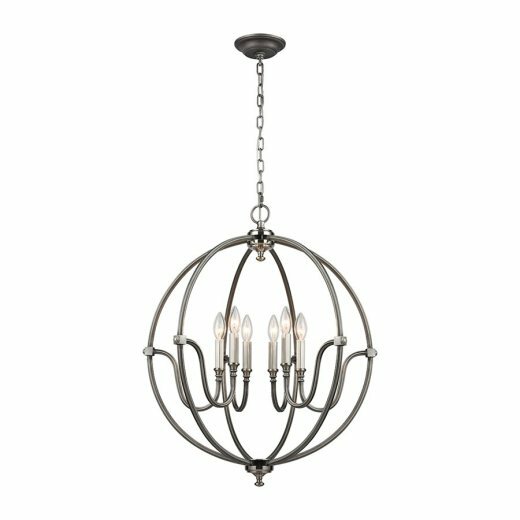 Available in three sizes: 3 light, 6 light or 8 light.